The protection of personal data is a matter of trust and confidence of our Customers is very important to Eredi Jovon Family. For this reason, Eredi di Bruno Jovon snc ((Eredi Jovon in short) is committed to respecting the privacy of its customers and to observe any applicable rule of law concerning the processing of personal data. With this declaration, Eredi Jovon is to inform the Customer about the collection and use of personal data and ask for permission to use for certain purposes. Taking view of Section 1., the Customer will be informed of the detection and use of personal data relative to navigation on the site www.eredijovon.com and any orders. Where it has already issued its consent to a particular use of their data (newsletters, to third parties, etc. )., the Customer can directly take vision of the second paragraph, concerning the scope of action and the rights of opposition. 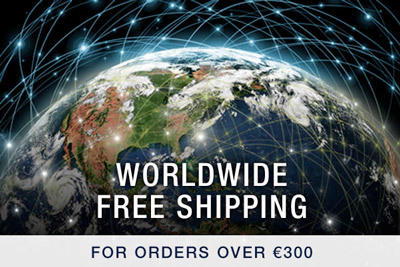 The Customer can visit online shops and generally navigate through the website www.eredijovon.com, without providing personal data. While browsing through these sites, it will not be possible, in any time, to identify the Customer, who will remain anonymous, unless it decides to connect by typing its Username and Password. The Customer gives his consent, also pursuant to art. 23, Legislative Decree no. 30th June 2003, n. 196, to the processing and communication of personal data for the purposes and in the manner described in this document. a. Order: Eredi di Jovon Bruno snc collects and processes Customer data for the execution of orders, for any claims after the purchase and to provide customers with the services available. These data are necessary for the management of orders, also with business partners (eg logistics providers, couriers, banks). 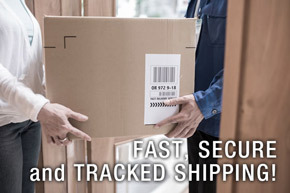 It is essential to enter a correct delivery address to order items. A telephone number is also necessary in order to allow Eredi Jovon to contact the Customer for any questions or requests for clarification. The email address is also necessary to Eredi Jovon to communicate to the Customer an acknowledgment of receipt of the order and any other notices. The email address is also used for the identification of the Customer during the "login". b. Reserved area – customer login: data on customer orders are saved in the system of Eredi Jovon, but they can not be freely accessible for security reasons. Eredi Jovon however guarantee to each customer access to the private area, by using a password . In this area, you can view all the information about completed orders , pending orders and those shipped recently, and you can also manage your personal information. The customer is obliged to treat in a responsible manner and in compliance with the access data and not to disclose to third parties. Eredi Jovon will not be in any way responsible for improper use or misuse of the password from the client. c. Advertising: Eredi Jovon uses data from the Customer for promotional purposes, to send information about the items offered on the website www.eredijovon.com. The customer email will be used only to the extent required by applicable law or, where appropriate, after the release of specific authorization from the customer. The customer, as a customer of www.eredijovon.com, will receive regularly via email tips on purchases. It's possible to interrupt the sending of these free promotional messages, upon request by email to info@eredijovon.com, or by clicking on the "cancel subscription" button on every promotional email. Market research and public opinion surveys: The use of Your data is relevant to market research and public opinion surveys. The use of the same is done on an anonymous basis and exclusively for the purpose of drawing up statistics for Eredi Jovon. At all times you have the right to disagree. Your survey responses are neither disclosed to third parties nor made public. Your email address is only required if you decide to participate in a contest. The answers to the questions of our surveys is not stored with the email address. Consultation of web sites and newsletters: When the customer visits the website www.eredijovon.com, even accessing it from a link in a newsletter, some data is collected and stored. The domain name or IP address of the accessing computer are temporarily stored for security reasons and deleted after a maximum of 7 (seven) days. You can also store other data such as the date of access, the HTTP response code and the website from which access was being redirected to websites www.eredijovon.com, as well as the amount of data (bytes) that have been transmitted. The data analysis is done only on a strictly anonymous (for example: 45% of the readers of the newsletter read the message xy). This process allows Eredi Jovon to adapt the information contained in the tenders to the interests of subscribers to the newsletter, which is sent in this way: the customer will receive the newsletter only if you click in the informative emails , on the link that confirms the activation of the newsletter service. 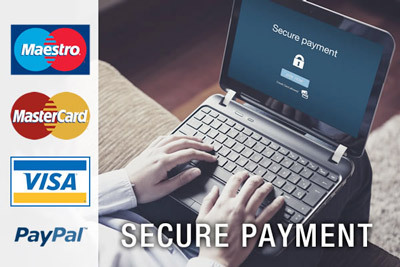 The payment information is transferred in encrypted form. This is done using the technique SSL (Secure Socket Layer). Although you can not provide absolute protection, Eredi Jovon adopted for their system security measures against loss, destruction, access, modification or disclosure of customer data by unauthorized third parties. Taking vision of this Section, the customer is informed of the different types of consent to the use of their personal data, which can be issued on a voluntary basis and so always revocable. a. Newswletter subscription: In the newsletters the customer will find information about great deals. Eredi Jovon urges you to also enter in the settings of the newsletter personal information (eg, your name), so that Eredi Jovon can “speak personally” to the customer. Of course, the Customer may contact Eredi Jovon anonymously or under a pseudonym (for example, using a free email address that does not reveal its name). Eredi Jovon uses the data collected during the treatment of the newsletter in order to customize and tailor services to the interests and preferences of the customer, as well as for promotional and market research. Eredi Jovon stores data collected for long periods of time, it being understood that these data will in any case be used only for the purposes mentioned earlier. b. Authorization contents: The authorization granted here was recorded in Eredi Jovon systems. Eredi Jovon is required to make available at any time the content of the authorizations. The Customer may withdraw the authorization at any time, with effect for the future. - Newsletter sobscription: The customer wants to receive the free newsletter by Eredi Jovon. At any time the customer has the option to unsubscribe by sending an email to info@eredijovon.com or by clicking on the unsubscribing link. - Long-term cookies: The customer accepts the registration of user name and password in cookies after closing the browsing session and their activation at the time of the next visit. These cookies allow Eredi Jovon to use the user name of the client and prevents the latter from having to re-enter the password each time . The customer may revoke this authorization at any time, with effect for the future by selecting the specific parameters of the browser that can exclude the activation of cookies. b. Right of cancellation and opposition: The customer can object at any time, either partially or totally, the use of their personal data for promotional purposes, for market research or for the verification of solvency. The customer may also oppose for free to send future newsletters or other promotional email. To do this, you need a simple written notification (by email, by letter) of your request. The customer will also find a link through which end the subscription to the newsletters and promotional email from Eredi Jovon. Finally, the customer may revoke the authorization to proceed with the verification of solvency or disclosure of the data for other purposes, by referring directly to the above specified.